How college teams helped bring about emission limits on new cars (and show up Detroit) after the first Earth Day. | Car News, Reviews, & Pricing for New & Used Cars. How college teams helped bring about emission limits on new cars (and show up Detroit) after the first Earth Day. When it comes to changing the world, never count out a bunch of college students with pens and wrenches. 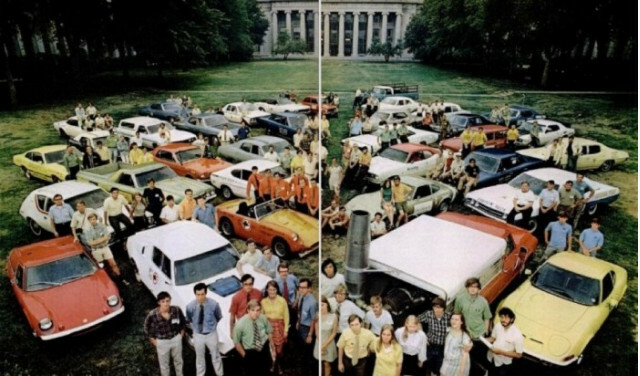 In response to growing demands to clean up the air, particularly from automotive exhaust pipes, and growing pushback from automakers, a bunch of college students banded together in 1970 to prove they could make cars cleaner than Detroit could. It was the first year of Earth Day, the year that Congress Passed the Edmund Muskie Clean Air Act, which required that automakers cut harmful air-quality emissions by 90 percent in time for the 1975 model year. As recounted in a story in Hemmings Motor News (in 2014), the automakers strenuously objected, saying they couldn’t make such improvements in so little time. In August that year, 40 teams took to the road to prove them wrong. They left the campus of the Massachusetts Institute of Technology in Cambridge, Mass., on August 24th, heading for the CalTech’s campus in Pasadena, Calif., six days later. The cars had to meet three main criteria: They had to be able to carry two average-sized adults; they had to be able to maintain 45 mph on level ground; and most of all, they had to meet the upcoming 1975 tailpipe standards. Each car would undergo emissions testing three times along the route: in Cambridge, before leaving MIT, in Pasadena at the end, and in Detroit where more thorough testing would be performed at automaker labs. The winner was calculated based on a complex mathematical formula heavily weighted toward emissions scores, but it took more than a clean engine and finishing the race to win. Entries fell into six classes: electric, hybrid, liquid-fueled internal combustion (including gasoline and methanol), gaseous-fueled internal combustion (including propane and compressed natural gas), steam, and turbine power. Compared with the green-car technologies of today, the field looked wide open. 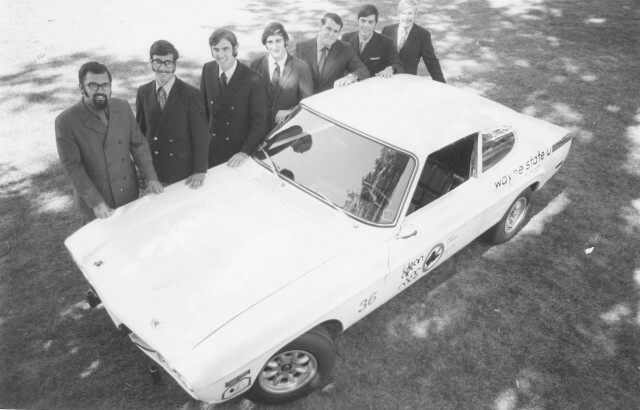 Although the race was only open to college teams, corporations sponsored many of them, and some controversy developed when four Ford carburetion engineers going to night school formed a team at Wayne State University. Cars were donated to teams from General Motors, Ford, American Motors, and even Saab. Other teams scrounged for whatever team members could acquire privately or their universities could afford. A repurposed University of San Diego police car, though it never actually started the race because it was destroyed in a wreck on the way to Massachusetts. A Mercury Capri running a standard gasoline engine with a catalytic converter and exhaust-gas recirculation, running on then-obscure unleaded gasoline. A Pontiac LeMans with a big, 400-cubic inch V-8 using a special carburetor developed by the Ethyl Corporation—the folks who put the lead in gasoline. MIT’s full-size Chevrolet pickup with a turbine engine mounted in the bed under a camper shell and driving an electric generator to power a 600-horsepower electric motor. The turbine’s exhaust ran straight up a huge stack above the rear bumper. And a vintage brass-era Stanley Steamer that substituted at the last minute for a 1960s Saab 3-cylinder that had been converted to steam power but seized up before the race. The 50-year-old Stanley actually underwent emissions testing in Cambridge. Most of these technologies, of course didn’t pan out. No steam car crossed the finish line, and the electrics were given a two-hour head start for charging. In the end, the race-winner presaged the technology that would come to dominate the automotive world for the next 40 years (at least): The gasoline engine running unleaded gas with a catalytic converter and EGR. The Wayne State University Capri also had a lightweight hood, trunk lid, and doors, plus extra-tall gears. That a bunch of professional Ford engineers set the template for modern emissions controls didn’t sit very well with many of the other student teams. Under the reportedly Byzantine rules, the car wasn’t the cleanest in the field. 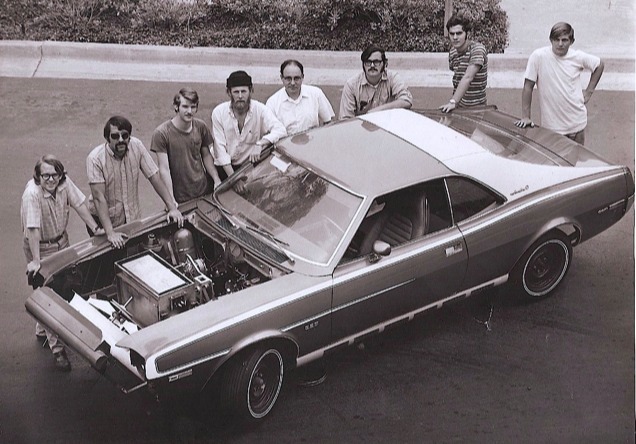 The 1970 Clean Air Car Race has never been repeated, but engineering departments at colleges around the world continue to compete to develop cleaner technologies in races organized largely outside the auto industry. The latest effort is to develop fully -solar- powered cars in competitions such as the American Solar Challenge and Bridgestone World Solar Challenge, where a similar spirit of “coopetition” works to build knowledge and improve technology until it becomes refined enough to develop commercial interest. Previous articleVideo: Rolls-Royce Cullinan takes to the desert outside Dubai.